Plastic tweezers provide a perfect way to gently and easily manipulate lenses. With this practical item, you don't have to worry about damaging the lens when taking it out from a bottle, a blister or a case. 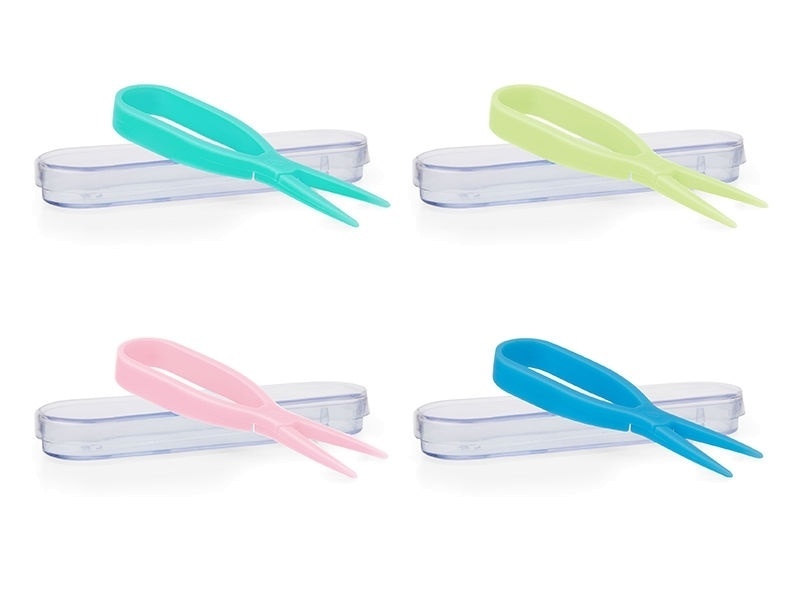 The tweezers in several colour combinations are made from a harmless material and come with a plastic case to ensure safe and hygienic storing conditions.